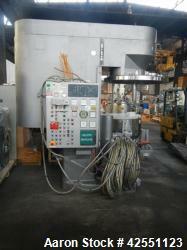 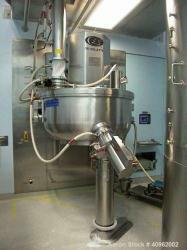 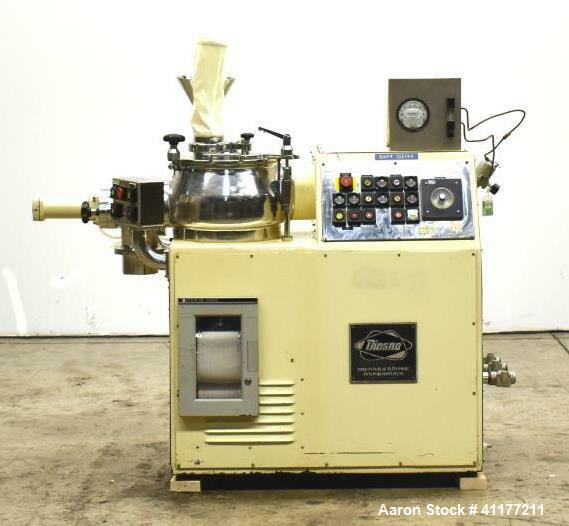 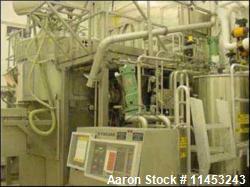 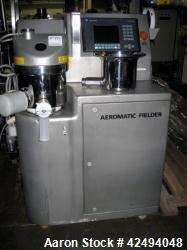 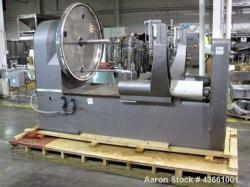 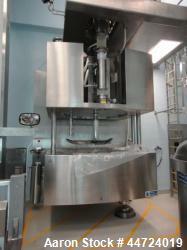 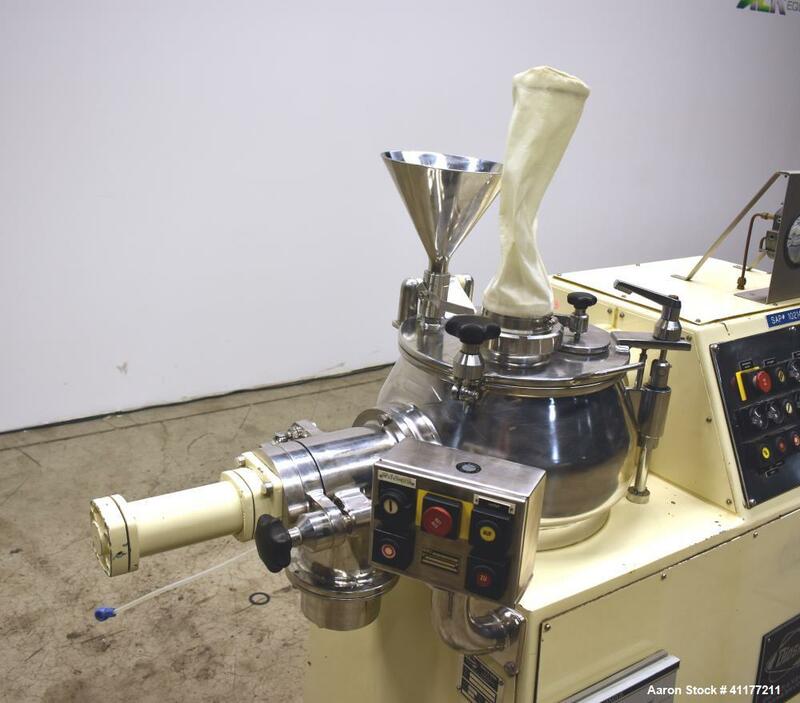 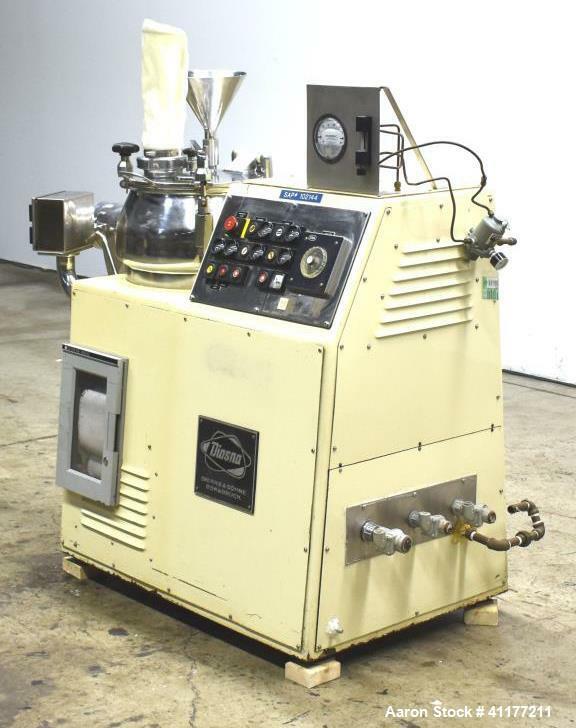 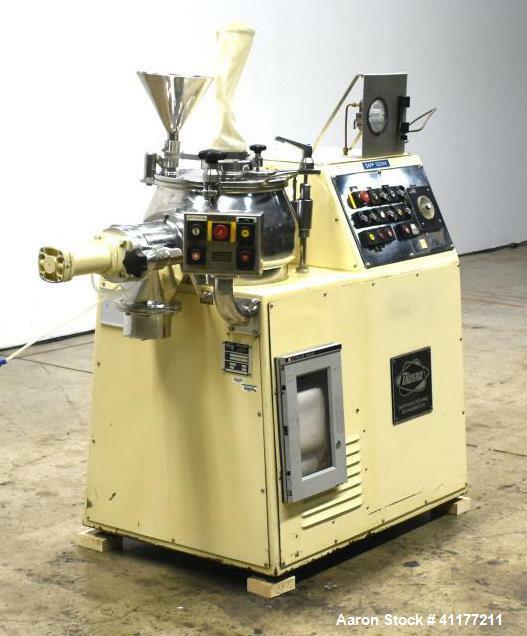 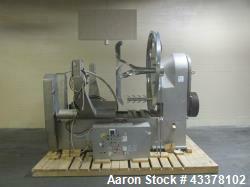 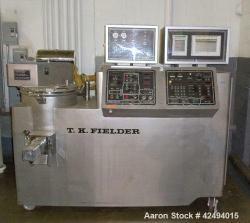 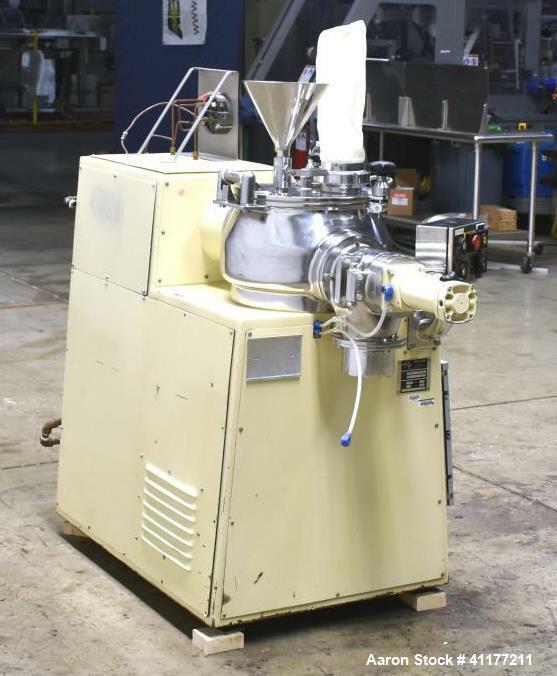 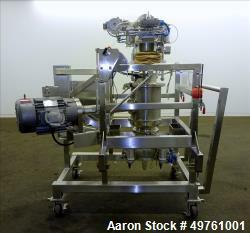 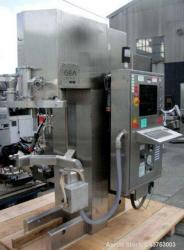 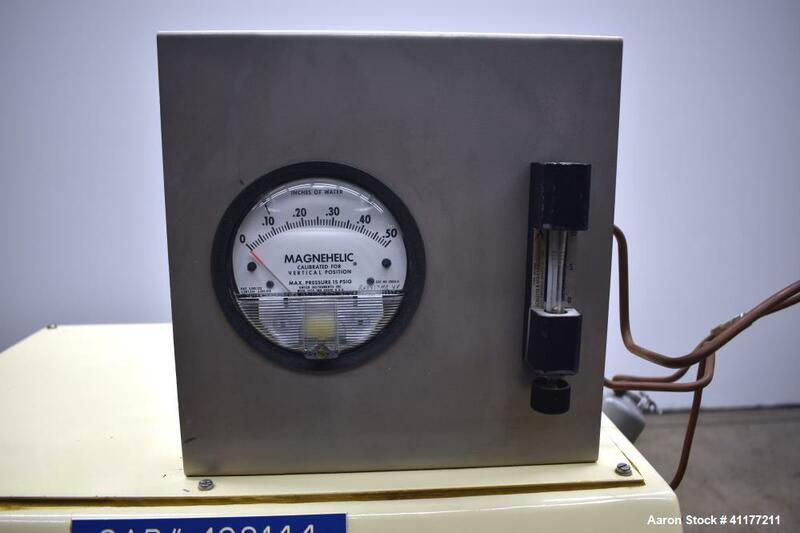 Used- Diosna Model P 25 High-Shear Mixer-Granulator. 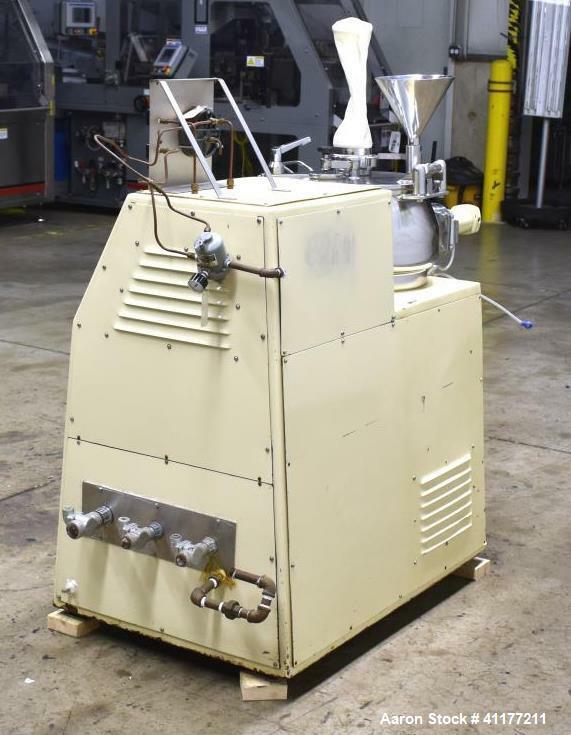 Has approximately 25 liter (6.6 gallon) working capacity. 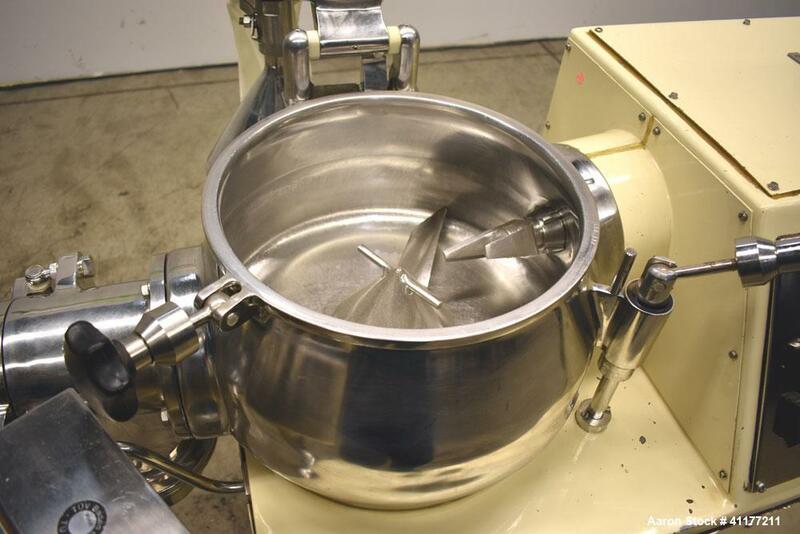 14" diameter x 8" deep mixing chamber, (3) blade impeller with side entering chopper blade. 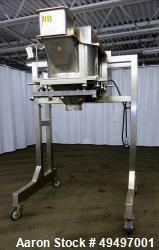 Clamp down top cover with a stainless steel funnel with 1 ball valve. 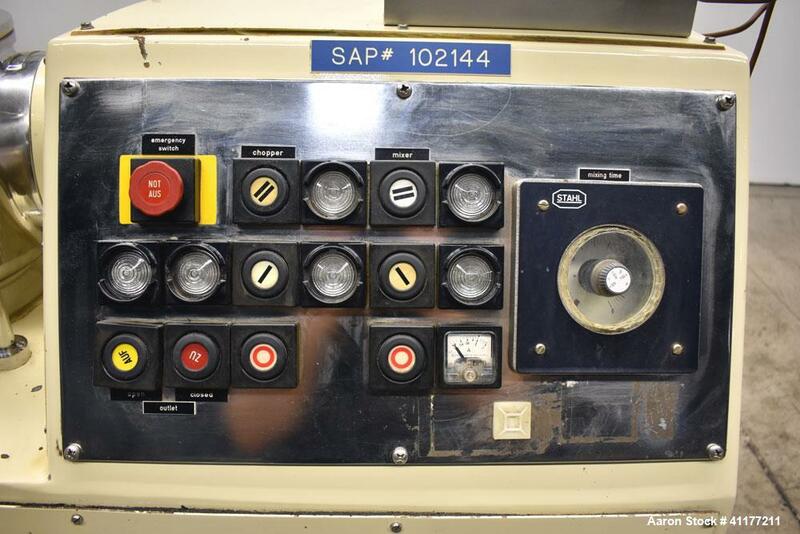 Side bottom outlet. 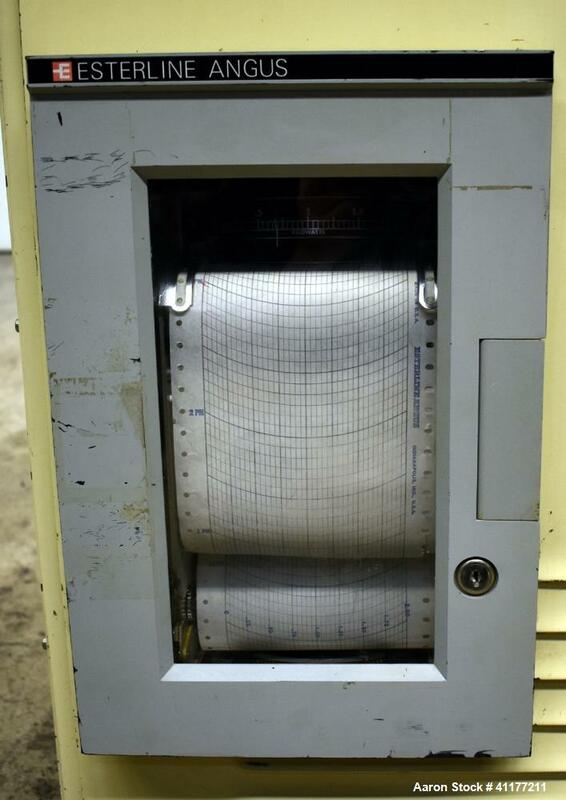 Includes an Esterline Angus chart recorder. 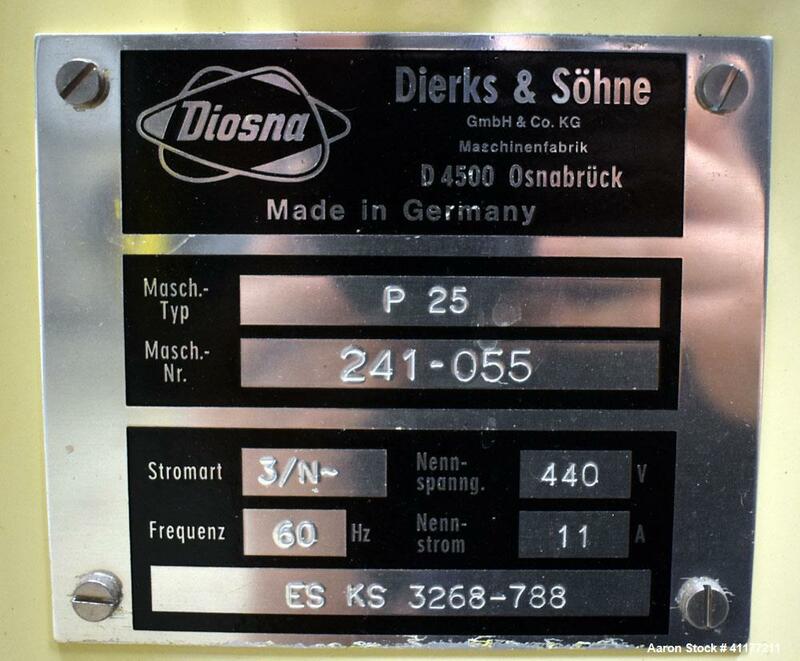 3/60/440V.